The Beverly Center Got a $500 Million Revamp—So, What's New? Home Architecture The Beverly Center Got a $500 Million Revamp—So, What’s New? You might shrug off the subtle differences on the outside—the parking structure got a reboot with undulating metal mesh screens, and a pedestrian-friendly path now hugs the perimeter—but modern interiors and fresh initiatives have breathed new life into the decades-old mall. » The updated parking system features technology to help visitors quickly find a spot—or locate their car. » Software-controlled exterior lighting allows the mall to support events (gay pride) or spread awareness (breast cancer). »The revamp has lured a number of new luxury retailers, including Balenciaga, Longchamp, and Brooks Brothers (which relocated from its longtime home on Rodeo Drive). 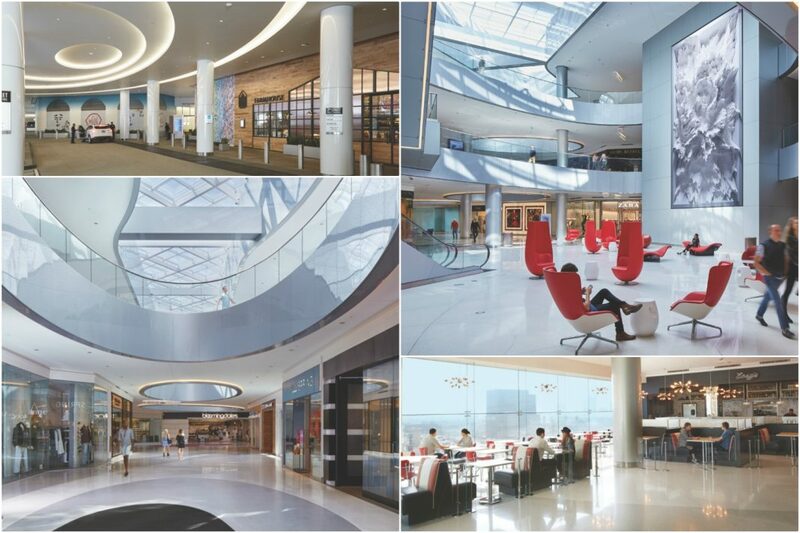 » Skylights—made from 25,000 square feet of ribbon glass—triple the amount of natural light throughout the mall. Expanded openings between levels enable the sunshine to reach even the bottom floors. » Room Service is a new VIP membership program offering on-site and virtual concierge perks, from making restaurant reservations and travel arrangements to procuring concert tickets and tracking down sold-out products. » Dubbed the Grand Court, this spacious lounge was created for tired shoppers low on fuel—and power for their electronic devices. (Plenty of charging stations can be found around the swanky chairs.) The area also doubles as a private-event space, while a 35-foot LED screen displays artwork by Refik Anadol. » Instead of a traditional food court, the mall has a number of destination dining options (Yardbird), many accessible from street level, as well as casual eateries (Eggslut) on upper levels where diners are met with sweeping views of the city.